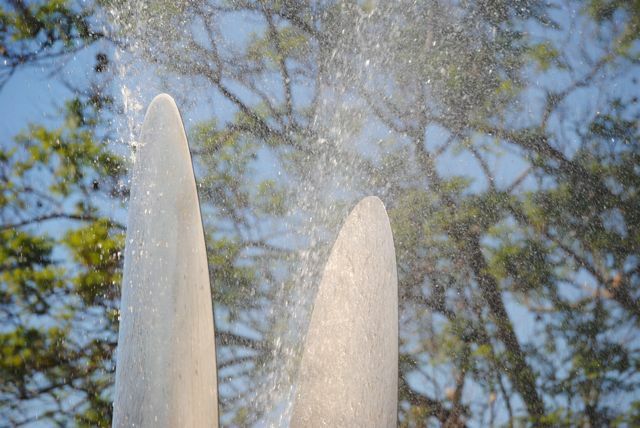 Once again the Gilman Fountain at OXY. If you see the water on and have a few minutes, sit down and watch it! It is a great piece! For another view and to see it's starring role in a major motion picture, see my previous post! A view looking towards the football fields from the Johnson Student Center. What a great building right in the middle of the campus, every direction is a nice view! I guess that Myron Hunt knew a thing or two! 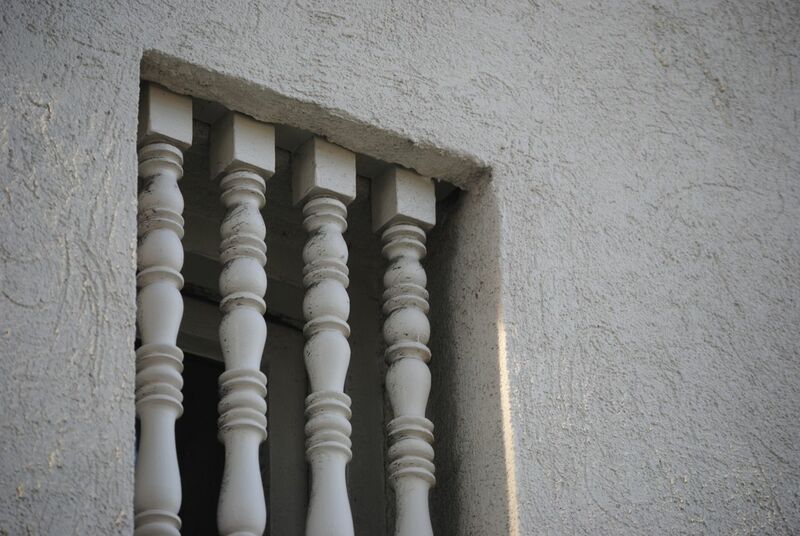 Close up of a window grille on our Eagle Rock City Hall. I just love details like this! Here is a detail that many people don't know about, or might even miss if they drive by the building. 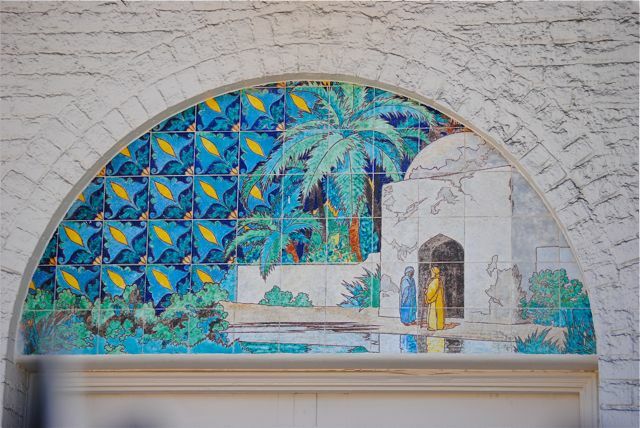 This tile mural is above the entrance to the Sparkletts Bottling Plant! Such great detail for an industrial building! Another in the series of "They don't make 'em like they used to!" 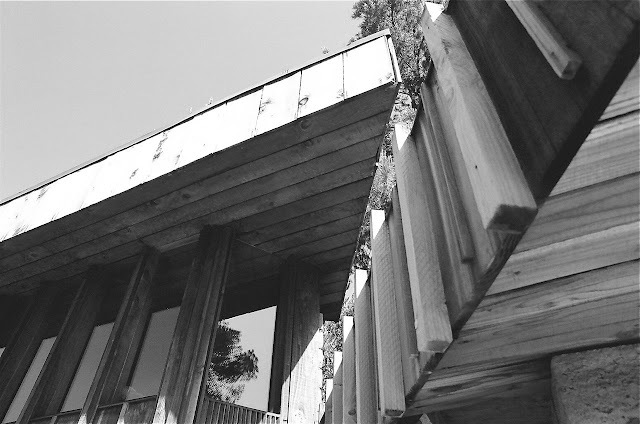 The last house my dad designed and built in Eagle Rock was designed using a hexagonal grid, so there were very few 90 degree corners. This made for some really cool angles, like this eave over the master suite. 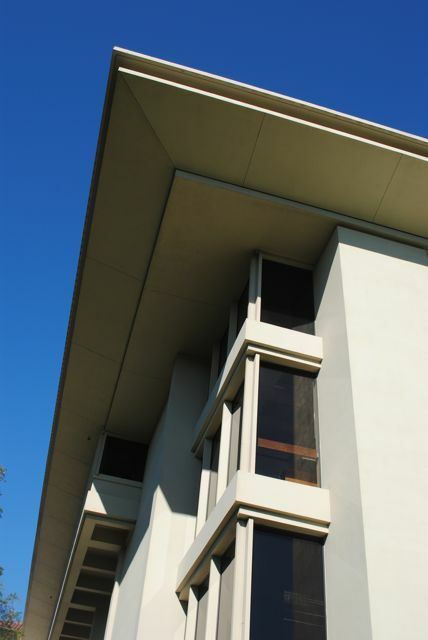 The eaves were also a crucial part of the solar design. My dad calculated the angles of the sun over the course of the year and figured exactly how far the eaves needed to project to block the hot sun during the summer but let the sun come in during the winter. This exact calculation meant that the house would potentially only vary a few degrees all year (if no one opened any doors or windows!) We never really got to test that since we had to get in and out, but it was and is still a beautiful and dramatic house! 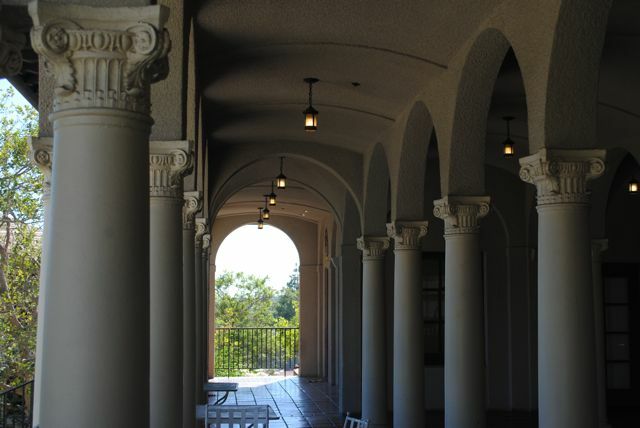 This is obviously NOT one of Myron Hunt's original OXY buildings, but I have always liked it! This is the Main Library building, an extension of the original classic library, but much larger. When I was a kid I frequently used this library as a futuristic city for my Super 8 Sci Fi movies! 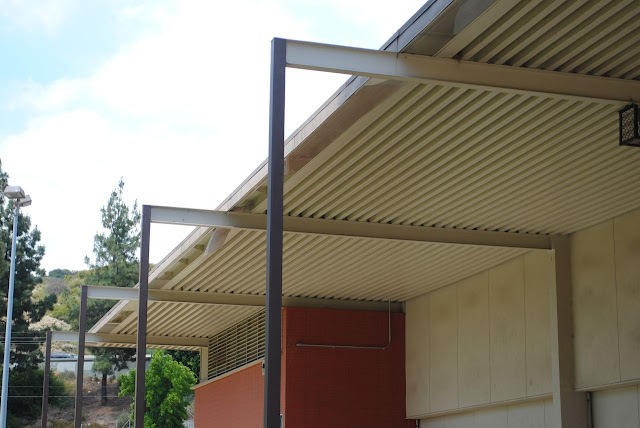 These huge eaves grace the dramatic Eagle Rock Park Pavilion, designed by Richard Neutra. See my earlier post for other views!